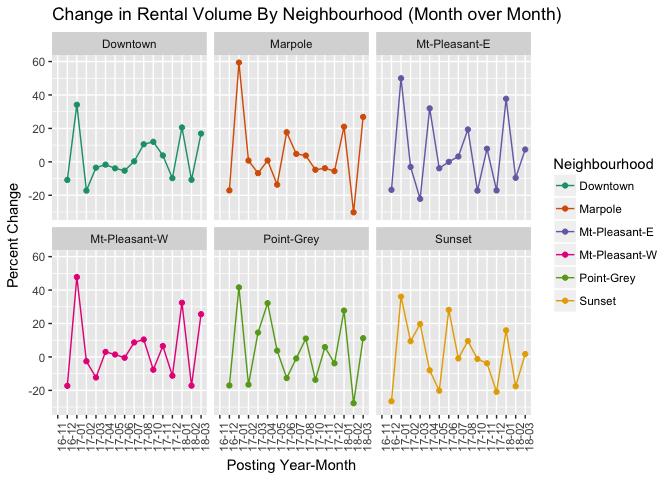 There has been a consistent uptick in rental volumes since last year. In March, we saw 5520 listings which is 26.9% more listings than last March. This marks 3 consecutive months of higher YoY listings. Year-to-date we recorded 16,115 listings versus 14,000 for the same period in 2017, a 15% increase. I am cautiously optimistic that newly introduced measures like the Empty Homes Tax are driving more rental stock. Prices were a mixed bag. 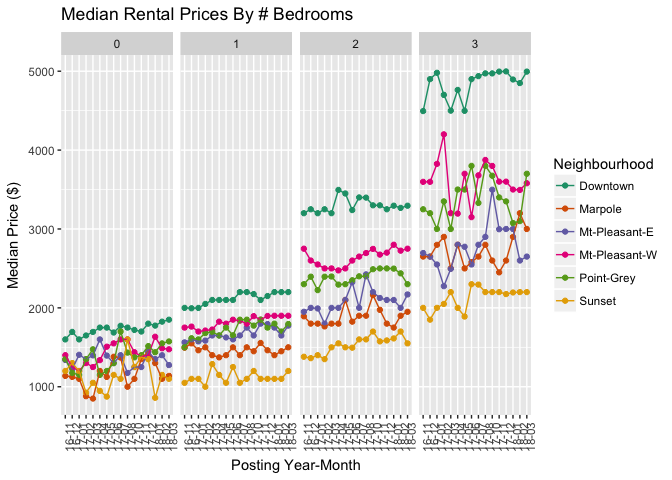 Studios and 2 bedrooms saw slight moderation while 1 bedrooms and 3 bedrooms saw some growth in rental pricing. The good news is we are still off from the high water mark of $2000 for a single bedroom seen last September. One bedrooms saw a large year-over-year price surge of almost 9%. 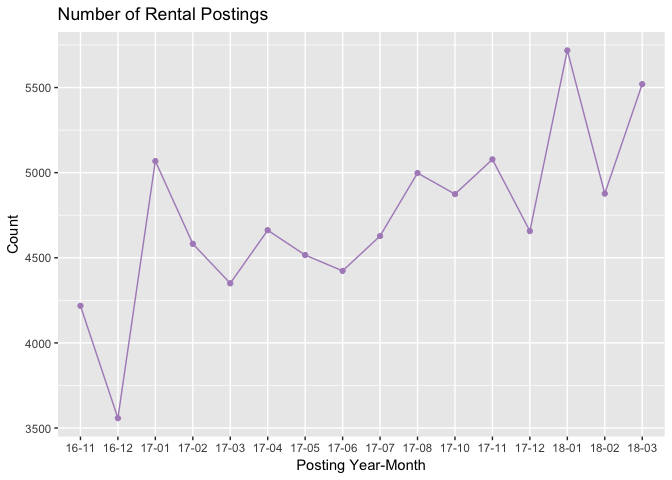 There appears to have been a structural change in the rental market in the summer of 2017. 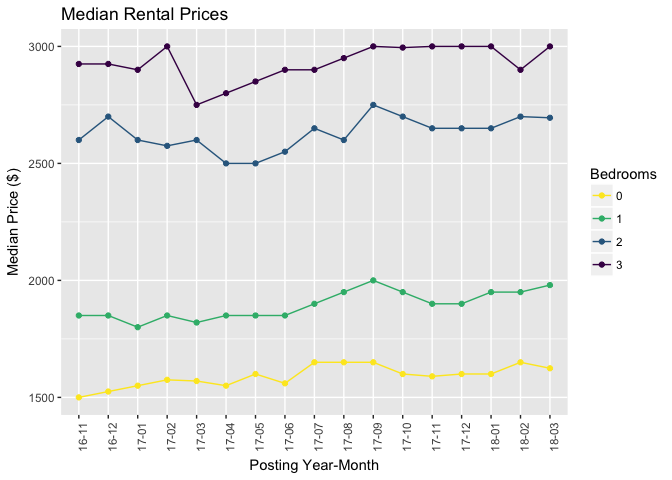 For 1 BRs, median prices escalated from $1850 to $2000, and these prices have been stubbornly sticky. Thanks to Jens heckling, I've finally split out the furnished and unfurnished listings. The results are pretty shocking, at least to me. The median price of a furnished unit offers at least a 30% premium to its unfurnished counterpart. Coincidentally, furnished units make up about 30% of the listings. This tails off as we get to the higher bedroom counts though.